Off-the-shelf gadgets are all well and good—easy to set up, reliable in operation, powerful and smart—but where’s the adventure? We’re living in a golden age of gadget-making, as these DIY projects prove. Save yourself some money and learn more about the ins and outs of electronics by tackling one (or more) of these yourself. Inventor Travis Brown has put together a fantastically detailed guide to doing this yourself and you can see a video of the finished device too. Show it off to all your friends and they’re undoubtedly going to want one for themselves too. Another pick from the rather excellent littleBits gallery here, which you can make to keep your kids (or yourself) more relaxed in the evening. What we like about this is it’s one where you can use your creativity as well as your gadget-building skills. The Night Light is constructed using a handful of littleBits sensors and a cardboard template, which is provided (you can also make your own). Another cool aspect of the device is it’s controlled by sound, so you can clap your hands or give a shout to make your bedroom just that little bit less intimidating. Thanks to the push-and-click simplicity of littleBits modules, you don’t need much in the way of DIY or coding skills, and it shouldn’t take you long at all to build. This one is for the gadget-making beginners, or one to get your kids involved with too. 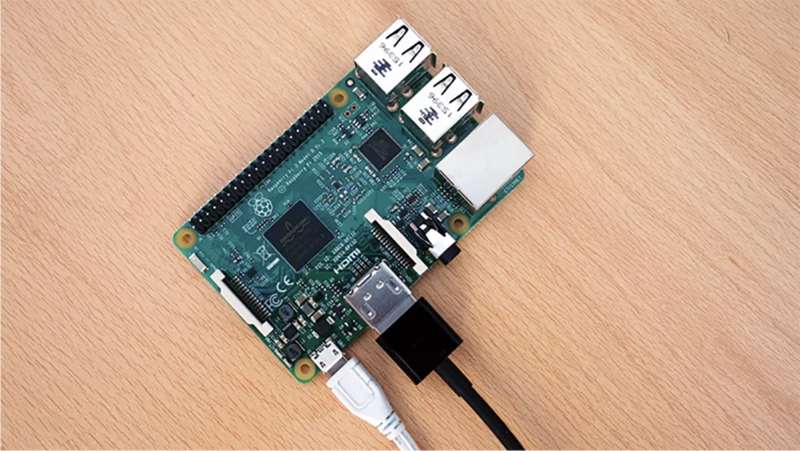 If you like to listen to your audiobooks in one place, or you don’t want to clog up your phone with another app and more downloads, this Raspberry Pi-based audiobook player will definitely be of interest—one tap, and your tracks start playing. The player can be made very cheaply with some readily available code, and it’s easy to customize as well—in terms of how the device looks, how it operates, and so on. You can link the Pi up to external speakers via a cable or Bluetooth as you prefer, or put them inside the player itself. Keys are very 20th-century, so upgrade one or more of the doors in your home with a password-protected door lock based on an Arduino board. We wouldn’t necessarily recommend this for your front door, but it’s a fun project for the basement or study. Fair warning that this is labelled as an “advanced” process, so it’s not for beginners—you’re going to need access to a 3D printer for a start, to put together the locking components to keep the door closed. Actually getting the gadget itself together isn’t too difficult. With a mobile device that runs Google Assistant, Siri, Alexa, or Cortana, and a regular Bluetooth speaker, it’s actually really easy to make your own smart speaker—and the good news is you get to choose just how good the audio is, and which smart assistant is used to control it (you could even switch between them). Check out our full guide for the instructions, but essentially you need to find a device you’re willing to dedicate to the project (like an old phone or tablet), turn on its ‘always listening mode’ in whatever way that’s done, and then hook it up to a speaker via a wired or wireless connection. Considering the power this is going to use, you’ll want to keep your contraption close to a power outlet and plugged in. The end result might not have the elegant looks of the Amazon Echo, but you can get it set up exactly the way you want it. If you’ve got yourself a Nintendo Switch then you can enter the world of Nintendo Labo, the cardboard-based DIY extension of the console. People are already creating all kinds of new gear using cardboard, tape, and a little imagination. One of the projects you get as part of the official $69.99 Variety Kit involves RC cars: Specifically, turning two Joy-Con controllers into a remote-controlled vehicle that you can then pilot around using the touchscreen on the Switch. It can even follow a heat source thanks to the sensors on board the Joy-Cons. Our friends at Kotaku will show you how it’s done but you get all the instructions inside the Variety Kit. Of course you’re then free to adapt the basic design in whatever way you see fit—with flashing lights or a game of hide and seek, for example. Behold the Landers AL6 Mark II camera, as previously covered on Gizmodo—a serious DIY tech project that’s not for the faint-hearted or casual gadget-maker. You’re going to need some skills in casting, machining, and welding, besides all of the parts, which in this case include an Agfa 85mm lens. We don’t want to put you off though. Creator of the camera Lucas Landers says there’s nothing quite like a camera you’ve made yourself. Knowing everything about a camera really helps when it comes to capturing great shots, according to Landers, who says the materials for the hardware set him back around $500. Add into that all the time, practice, and patience you’re going to need, as well as equipment like a tungsten inert gas welder and a small jeweler’s kiln, and you can see this is a serious undertaking. Landers will take you step-by-step through the process though, and has documented the build in nine parts on his YouTube channel.